We understand you may have questions about your dumpster service. 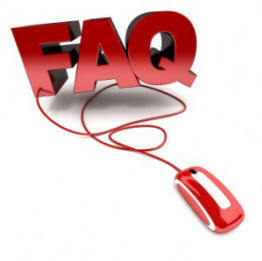 Below are frequently asked questions and answers. If you don’t see what your looking for here, give us a call @ 678-807-9328 our knowledgeable staff will have the answer! Can I get a container delivery the same day I call? What can NOT go in the roll off dumpster? How high can I fill it? What if I only need the container for less than an hour? Q: How fast can I get delivery? Next day delivery is guaranteed. M-F. Saturday service is available depending on the hauler we use for your project. Q: Can I get a container delivery the same day I call? Sometimes but it isn’t’ guaranteed. It depends on the waste providers schedule that day. If you have an absolute need for same day service call me and I will work to accommodate you. Q: How long can I keep it? We offer up to 21 day rental. * Longer rentals are are available with no rental fees, call us for more info. Q: What can NOT go in the roll off dumpster? Asbestos (this can be hauled to a landfill, but in a separate, manifested load – call us @ 678-807-9328 for more info. Kitchen appliances / Air conditioners must have Freon removed first! Q: How high can I fill it? Level with top of the dumpster. Do no load the dumpster over the top. Q: What if I only need the container for less than an hour? This is considered a ‘live load’. Please let us know upfront if this is a service you require and we will set it up for you!